1. 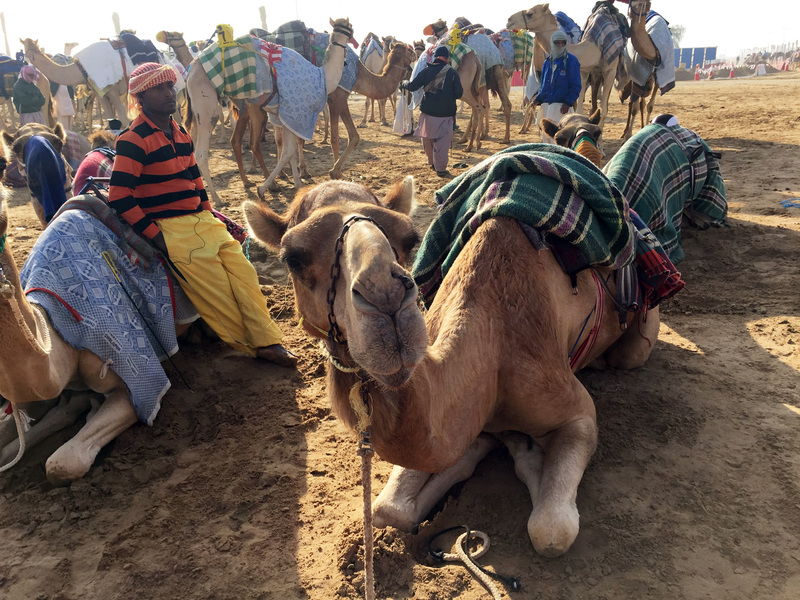 Head outside the city for a Camel race competition. Venture about 45 minutes from the city center and you will find hundreds of camels waiting to get on the tracks. Hang out with locals and snap some amazing pictures with these cool animals, but be sure to get an early start. Make sure you ask for a “Diamonds are Forever” cocktail, made from LHeraud Vintage Grande Champagne Cognac, The Bitter Truth bitters by Jerry Thomas and Luxor 24k Gold Flake Champagne. Served in a Swarovski cocktail glass complete with crystal beads—you can even keep it as a souvenir. 3. Do lunch, High Tea or an elegant dinner 122 floors up. At the At.Mosphere restaurant in the Burj Khalifa because it’s the tallest restaurant in the world. 4. There’s nothing like a wild ride in the Dubai desert. Hop in an SUV and go on a wild ride with Arabian Adventures though the desert’s dunes, then stop and enjoy the sunset for some great pictures. 5. How about buying some gold? Not only will you find tons of gold at the Gold Souk, but be sure to check out some of the few Gold ATMs around the city. 6. You can go sand or snow boarding in Dubai. Didn’t try sand boarding in the desert, but I was told it’s best for those who are adventurous. Now if you can’t make it to the desert, head to the Dubai Mall where you can find the biggest and only indoor ski resort. The Burj Khalifa observation decks on the 124th floor or even higher on the 148th floor called “At The Top|SKY’. 8. Relax and rejuvenate at one of the best spas in Dubai. Talise Ottoman Spa at Jumeirah Zabeel Saray will make you feel like royalty. Enjoy unique treatments from amazing therapists.